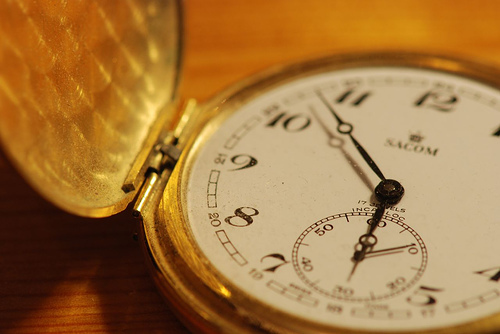 How Contract Management Software Saves Time. Time is money. In the world of contract management, having enough time for processes is key. Some contract managers wished they had extra time to prepare compliance reports or review the latest contract version. By using a contract management software, your team can finally get a hold on that much needed extra time. Here are six ways that contract management software streamlines your processes. One of the main challenges of traveling sales people is the lack of resources while on the road. While a laptop certainly helps, it still doesn’t guarantee that a sales person will have access to the latest contract management templates and clauses. Enterprises without a centralized library of contract data often struggle with sales people that have to do negotiations without the most up-to-date templates and clauses. Not only this exposes the enterprise to additional contract risk, but also adds time to the contract lifecycle. A major challenge of enterprises that share a server to store data is that contract templates and clauses can be modified simultaneously without one contract manager knowing that another one is working on those same documents. Contract management software prevents this from happening by locking access to contract data while in use or alerting users that another user is trying to access that data. Through the check-in/check-out feature, contract management teams can coordinate their efforts more efficiently. On top of providing a check-in/check-out feature, a contract management allows you to assign full, casual, and read-only options to specific users, ensuring the security of your company data. Limiting user permissions allows you to prevent unwanted modification of key clauses that went through a rigorous legal review and enabling third parties to become actively involved in the contract lifecycle. For example, stakeholders can approve, approve with changes, or reject documents, all without modifying the original document. Another advantage of having a well-defined system of user permissions and an established check-in/check-out process is the increased visibility of actions performed by team members. For example, by limiting the access to a document to just a few people, you’re clearly determining with whom stops the buck. This has a positive effect on staff, who will pay more attention to all contract processes. More than 2,700 executives across 59 countries reported that the risk businesses and incidences of fraud and corruption that they are facing are not declining, according to a survey from Ernst & Young. In the U.S., the number of compliance teams spending over 10 hours a week tracking and analyzing regulations went from 13% in 2013 to 25% in 2014. Contract management software saves time because it automates several compliance processes, such as maintaining a full audit trail for Sarbanes-Oxley compliance and generating compliance reporting. By leveraging e-signature technology, contract management software provides customers and stakeholder an easier and more convenient way to sign an execute contracts. A digital, paperless signature process is faster than its paper-based counterpart because it does away with the time-consuming print, ship, sign, copy, return, and scan cycle. When looking for a contract management system, look for one that integrates with as many e-signature software as possible, including EchoSign, Docusign, and Sertifi. By having access to latest contract data, implementing a check-in/check-out procedure, defining user permissions, increasing accountability, automating compliance processes, and enabling faster execution of contracts, you can save time in all your contract processes through the use of contract management software. Reduce your contract management cycle times!